Today I don't have a card but I have something that I hope you like it. 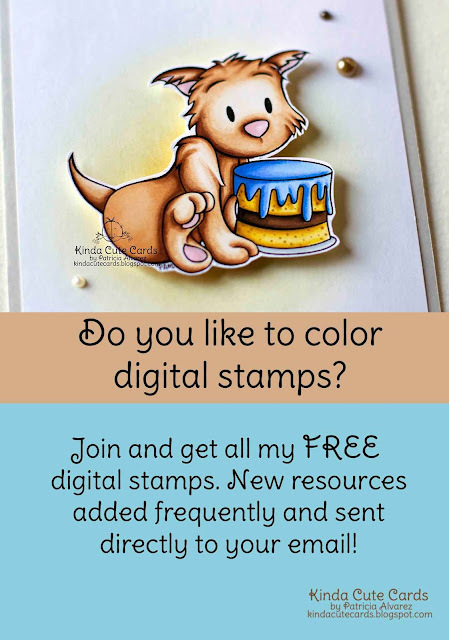 If you are already subscribed you already have the link to get all my free digital stamps and if not, you can sign up below. I will add new stamps every month and I am planning on adding other kind of resources as well. When you sign up you will have access to my past documents. I will send you a new link in my newsletter with the new ones as soon as I add them.